← Hiring Help: What Happens When You Work With a Life Coach? Next week, I’ll teach my first classes of the semester, and some of my first-year students will start worrying about their job prospects. Although I want to help all my students find work they love, I have better advice for the women. There are many things that college women can do to prepare for a genuinely rewarding career aside from getting stellar grades. But if I had to choose three areas of significant focus, I would zero in on these, because I think they can make a tremendous and fairly immediate difference after you graduate. The importance of making professional (not just social) connections. Success comes from doing things well and developing good business relationships. Neither alone is sufficient. Many people make the mistake of focusing too much on doing their work without building the kind of professional networks that will help them get jobs, move up at work, and change jobs when they need to. 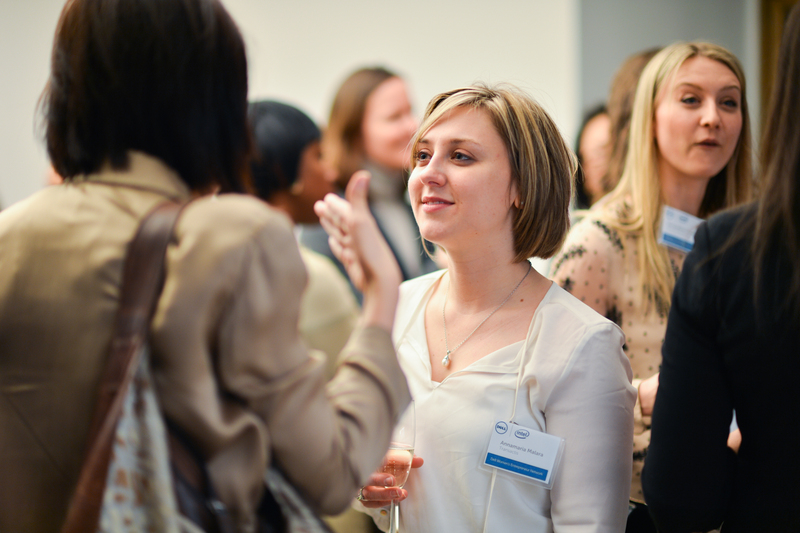 Women are so good at building social networks that they can be hesitant about creating professional networks as well. I think a truly successful life requires having good friends in addition to good mentors and colleagues. As a natural introvert, I made the mistake of keeping my head down and focusing on work to the exclusion of building the kind of mentoring relationships — with both male and female mentors — that would have helped me succeed faster. No workplace is a pure meritocracy, and doing well in school doesn’t translate directly into doing well at work; you need to branch out and meet more people. Reach out to people whose work interests you and ask them about it. People like talking about themselves, if you make it easy for them to do so. In college, you can start by connecting with professors during office hours. They may be able to teach you more about the practice of their field than you can learn in class, and interacting with them is great preparation for the workplace. The importance of focusing on the skills you love using — not the perfect job. If you want more enduring career satisfaction (and who doesn’t? ), find what you love being good at, and focus on learning all the different ways that people use those skills. Are you good at consensus building? Creative problem-solving? Writing? Look at what you’ve done in college, in class projects and extracurriculars, to help get a clue about that. And it’s never too soon to start looking at your volunteer and work experience in order to identify what you really enjoyed doing, and when you felt like you were adding the most value. Focusing on the skills you already have and enjoy using, and then honing those skills and racking up associated accomplishments instead of job titles, will help you surf the job market and navigate career shifts in a more satisfying, sustainable and, ultimately, more successful way. For example, if you like advising people, you could be a financial adviser, a lawyer, a guidance counselor, or a psychotherapist. Seeing yourself as any one of those things exclusively will artificially and unnecessarily narrow your career options. There is an anecdote about a Hewlett-Packard executive who proclaimed that women working at HP applied for a promotion only when they believed they met 100 percent of the qualifications listed for the job while men, on the hand, applied when they thought they met 60 percent of the job requirements. My take-away from this anecdote is that men are more likely to fake confidence than women, leading them to apply for jobs they are less qualified for. If women faked more confidence, they would apply for, and get, better jobs, thereby achieving more parity. So, at some point, you have to start faking it until you make it. I didn’t actually make it — in terms of genuinely feeling confident — until 10 years into my career, so I spent a lot of time acting as if I could do the job I was hoping to get. That worked fairly well. It may help to think of faking confidence as extrapolating from evidence you already have, rather than lying outright. Pretend you’re advocating for someone else, if that helps. Every person who might hire you, or manage you, wants to know one thing: how can you, in particular, make their lives easier? Come up with a well-reasoned answer to that question, and you’ll be on your way to success. You actually succeed by delivering on that promise and by making sure the right people know about it. Each of my three suggestions — making professional connections, zeroing in on skills you love using, and mustering confidence — may seem small in the grand scheme of things. But with more than 20 years of work experience under my belt, I know that they matter greatly. And focusing on them will absolutely help you prepare for a wide variety of rich and rewarding careers. A version of this article originally appeared on Bentley University’s IMPACT blog at http://bit.ly/1slntbw.